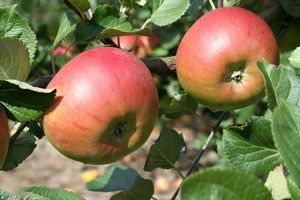 Camelot - Cider Apple Tree £12.75 - Cider Apples - Sharp and Bittersharp Apple Trees and Fruit Trees For Sale. Buy at competitive prices with wholesale discounts. Camelot will produce a mild, bittersharp cider, best blended with other apples. It originates from Somerset in the mid 19th century and is a useful dual-purpose fruit, cooking down to an excellent sharp golden puree. It is a fairly vigorous tree with good general disease resistance. Apples can be picked from mid-October and if stored correctly will keep through until January. A good choice for an orchard.